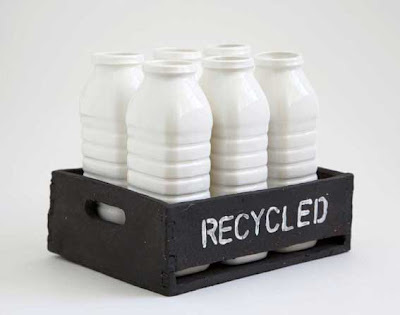 Cape Town ceramist, Belinda Ormond, has been doing something interesting with throwaway objects like plastic milk cartons. These look familiar, don’t they? But pick them up, and you’ll see they’re made of clay, not plastic. 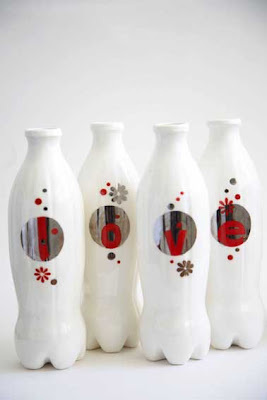 She’s also made a great series from PET coke bottles. 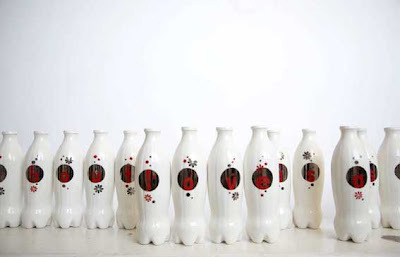 Belinda doesn’t have any work on the web, but she can be contacted through Ceramics Southern Africa.